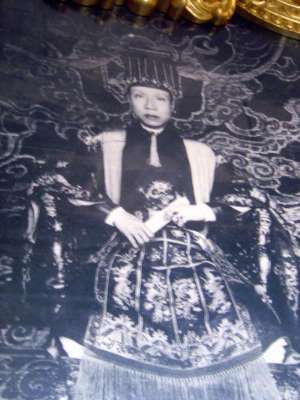 The Nguyen emperors reigned for 143 years, beginning with Gia Long in 1802 and ending with the abdication of Bao Dai. 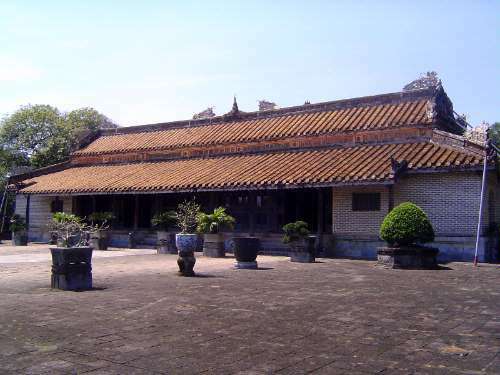 The zenith of the dynasty came with Minh Mang, who ruled 1820-40, before the French arrived. 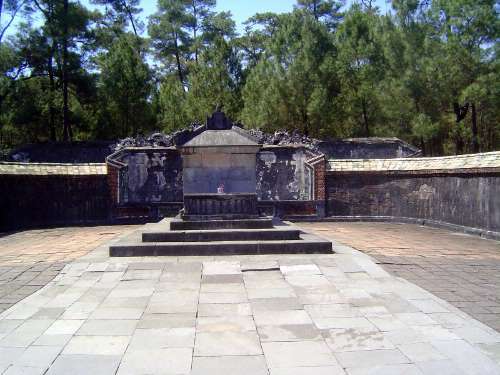 We look here at his tomb and those of two of his successors, Tu Duc (1848-1883) and Khai Dinh (1916-1925). 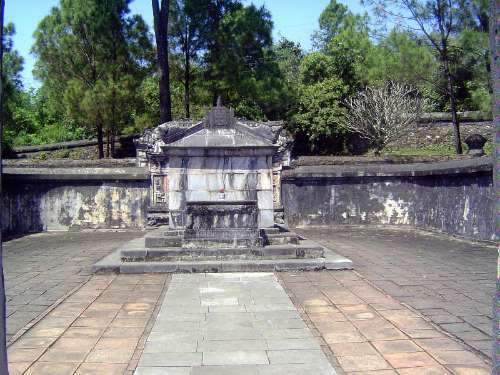 Minh Mang's tomb is said to have kept 10,000 workers slaving for four years. 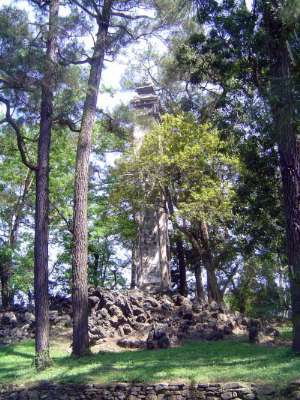 It covers more than a thousand acres. 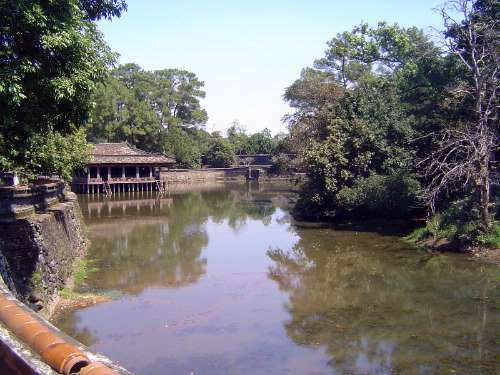 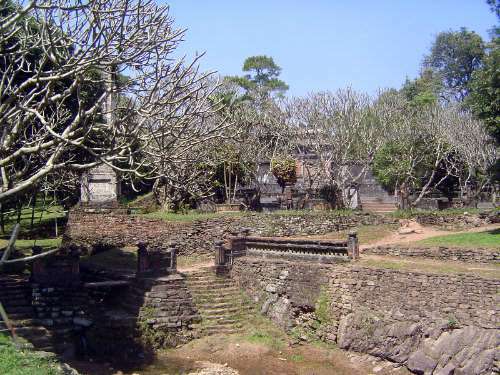 The Sung An temple with Trung Minh Lake. 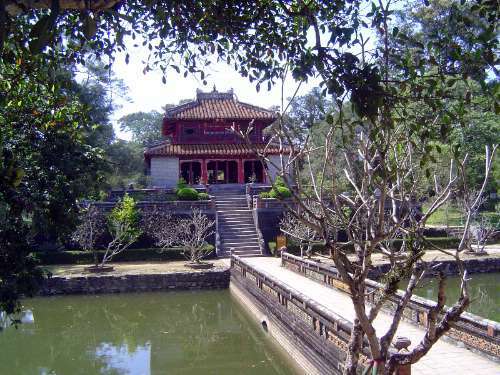 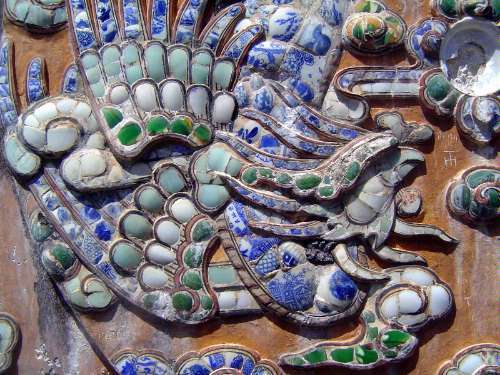 Minh Mang was the fourth son of Gia Long, founder of the dynasty. 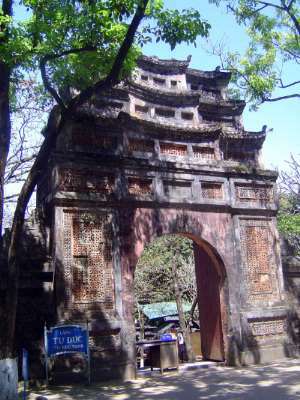 Entrance to Tu Duc's tomb. 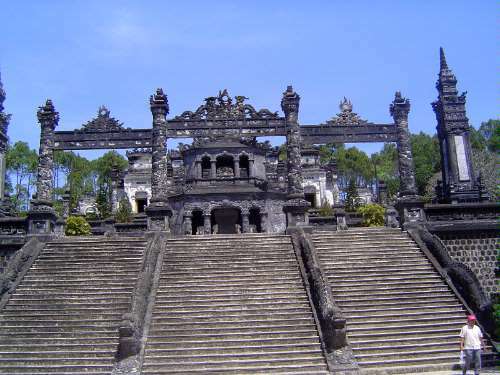 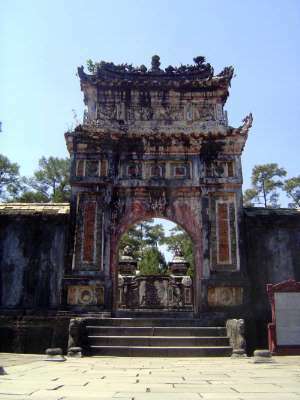 Interior enclosure with Khiem Cung Gate. 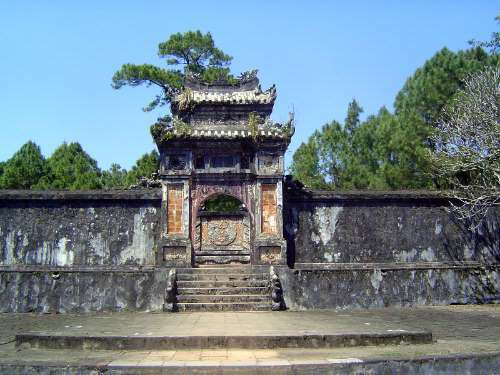 The way to the tomb of the empress. 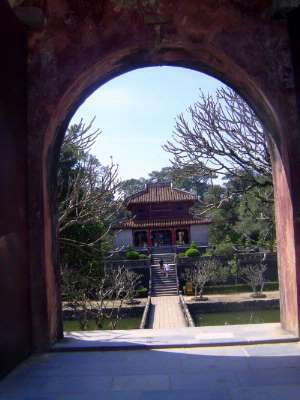 The gateway and the screen blocking the view of the tomb of the empress. 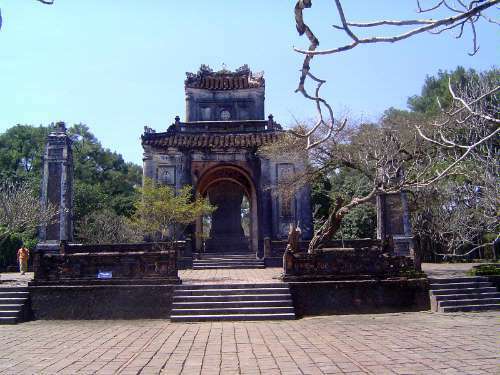 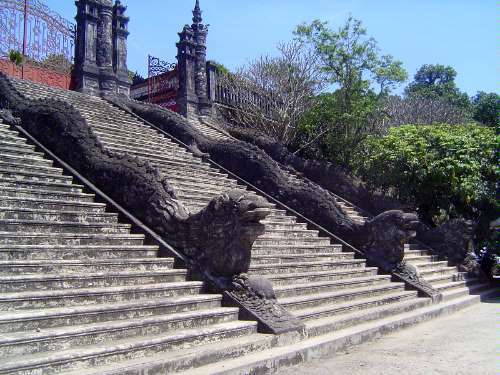 First staircase to Khai Dinh's tomb, which is as French as it is Vietnamese. 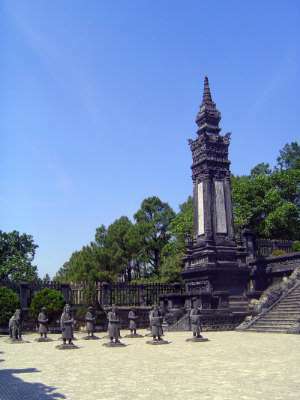 Obelisk and statues on the second platform. 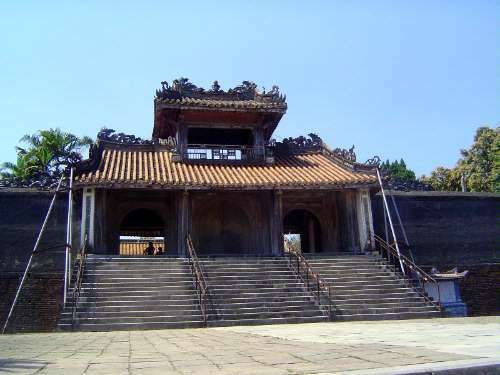 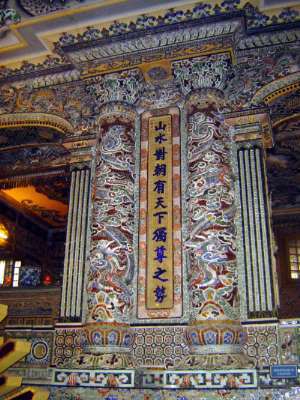 The interior of the Khai Thanh Temple. 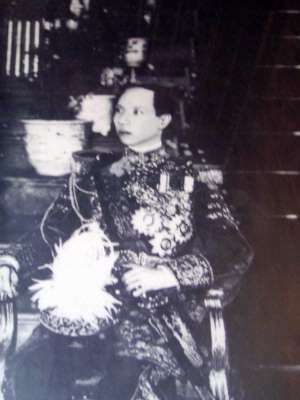 Khai Dinh in traditional garb. 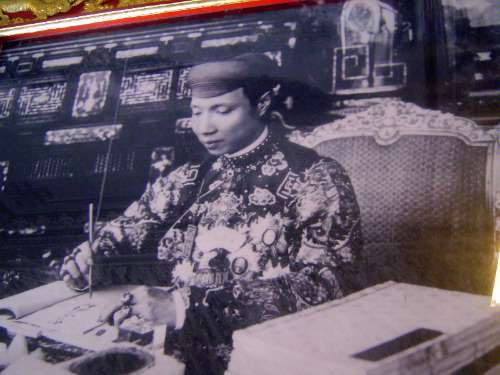 Khai Dinh in French uniform. 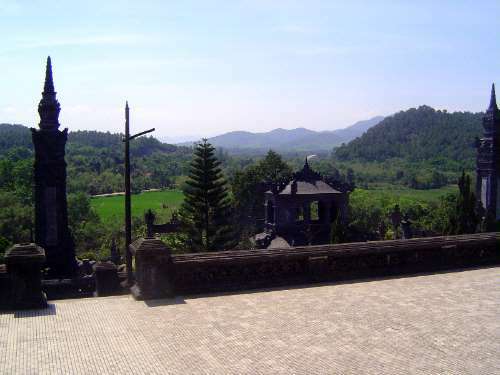 View looking west from his tomb over Chau River valley.